Experience Requirements: At least 5 years experience as UDC (Stores) or as Quartermaster or an ex-serviceman preferably a JCO with at least 10 years experience in handling and accounting of stores. General Instructions: (1) Short listed candidates will only be called for written test, trade test and interview. (2) No TA / DA will be admissible for attending the selection tests. (3) The post mentioned at Sl. No II is reserved for SC candidates only. 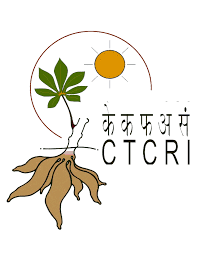 (4) All regular posts will be on probation for a minimum period of one year which can be extendable up to two years and upon confirmation the post will be All India Transferable Basis. Selected candidates should be ready to take responsibilities in a Residential School. 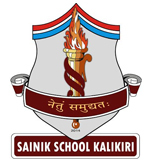 SAINIK SCHOOL KALIKIRI (Under Ministry of Defence) (5) Applicants with higher qualifications and experience, proficiency in sports/games, NCC, etc., will be given added credits during the short-listing process and selection process/interview. Indian Nationals only to apply. (6) The school administration reserves the right to cancel any or all vacancies due to administrative reasons. (7) Applicants are to clearly mention their email ID and mobile number in the Application form to enable the school to communicate the date / schedule of selection test at short notice. Information pertaining to selection will also be updated on school website. (8) Candidates are to bring the certificates / documents in original (in support of their qualifications / experience as mentioned in the application) while reporting for selection test, failing which their candidature will not be entertained. (9) Canvassing in any form will disqualify the candidature of the applicant. Experience Requirements: Minimum of five years experience in driving School/College bus/light vehicle (LMV).